Glad you have instilled your love of nature in her. Nice shot. You have me dreaming of a return trip to ZA. Such a sweet picture. 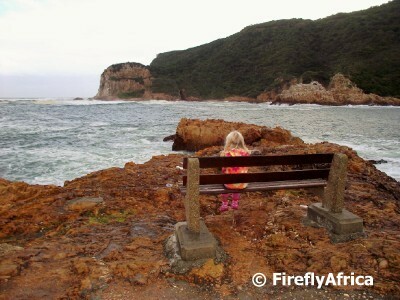 Wonder what was going through her little mind, watching the waves and that beautiful view? Drama Princess. ;-) I love that. She looks as if she is lost in her thoughts. It's a wonderful photograph.